Tablets are the rage these days. 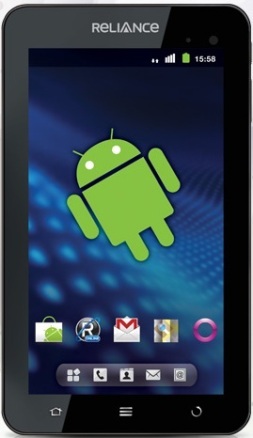 A cheap but great gift would be the Reliance 3G Tablet. It operates on the Android OS and is surprisingly smooth. The 7-inch display size in is Reliance Tablet ensures it is easy to carry around and the super fast 3G speed on the Reliance network means that you can stay connected to the Internet at all times. The tablet has a good build quality with smooth rounded corners. The front of this Tablet features a scratch-resistant 7 inch TFT capacitive touch screen with a dimension of 800 x 480 pixels, whereas the back panel has an aluminum finish. Though the Tablet weighs about 389gm still it is pleasant to hold and feels secure in hand. Also the front has a three one-touch keys for navigation and a VGA camera for video calling. While at the rear the Tablet is provided with a 2 MP camera. 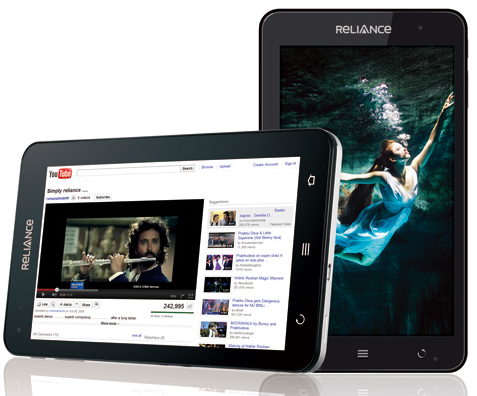 On the inside, the Reliance 3G Tablet is equipped with an 800 MHz processor with 512 MB RAM. The battery is made of Lithium ion and has 3400 mAh. Although the internal memory of the tablet is limited to only 128MB, ther’s a card slot which supports upto 32 GB microSD cards. Other features include 3G, Wi-Fi, Bluetooth 2.0, FM radio and GPS. The tablet runs on Gingerbread and is not much customized by Reliance. The screen is responsive; however, it has a noticeable lag during transitions, most probably due to the slow processor. The one-touch keys mentioned earlier do not have a backlight, making it difficult to use the device in the dark. On the connectivity front, the tablet can be used only with a Reliance connection. However one can perfectly use the Wi-Fi without the need for a SIM card. To make calls or use 3G \ GPRS, only a Reliance GSM SIM can be used. The device is also capable of making voice calls. 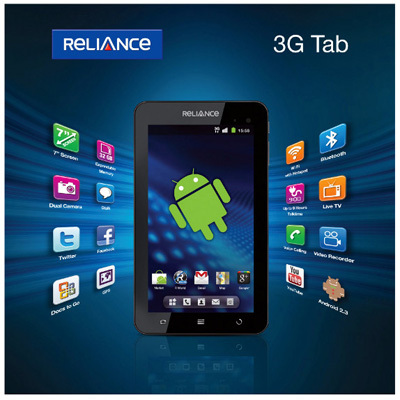 The Reliance 3G Tablet claims to give 9 hours of talk time with the 3400 mAh Lithium-ion battery. 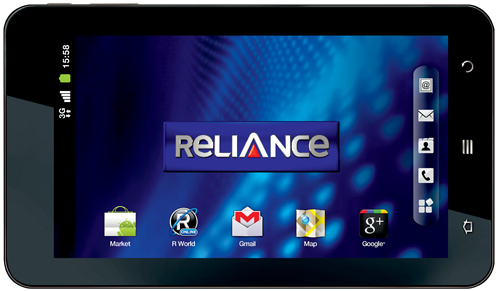 The Reliance 3G Tablet will cost Rs 13000.